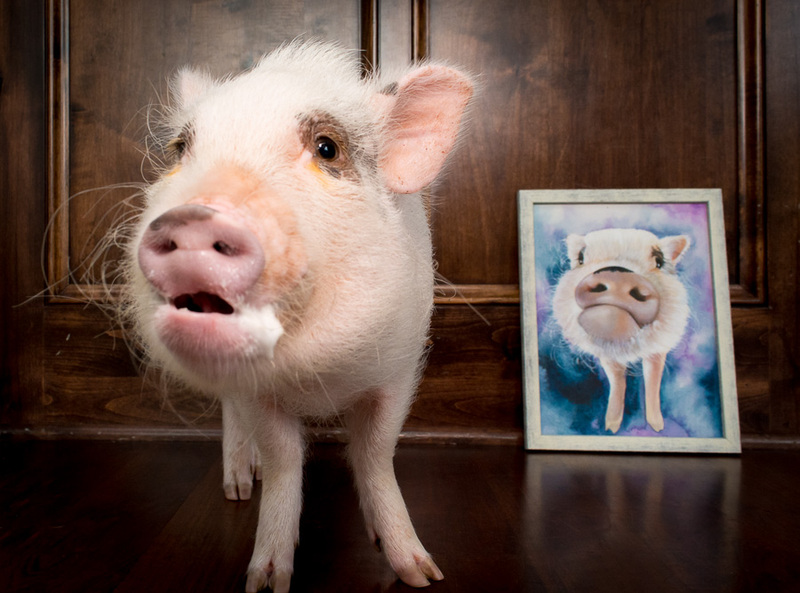 Oscar was recently featured on The Painted Hoof website! The Painted Hoof is run by a wonderful artist named Dar who uses her website to introduce sanctuaries and rescues and offers her art to them for free to help them raise funds for their residents. 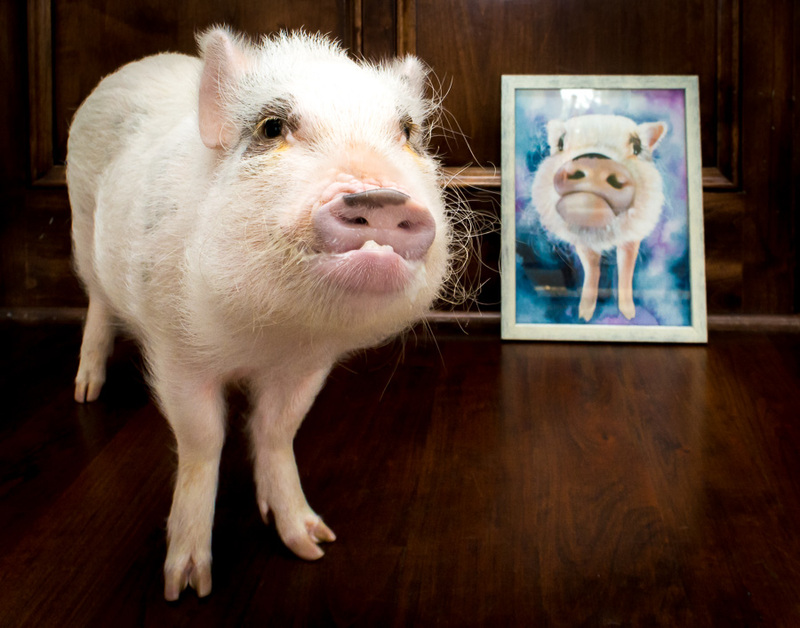 Last summer, she provided several paintings of Esther the Wonder Pig for a fundraiser to help Happily Ever Esther Farm Sanctuary (HEEFS). Her amazing paintings were offered as prizes in a draw for everyone who made a donation, and the money from the donations helped fund the sanctuary so that they can better help animals. 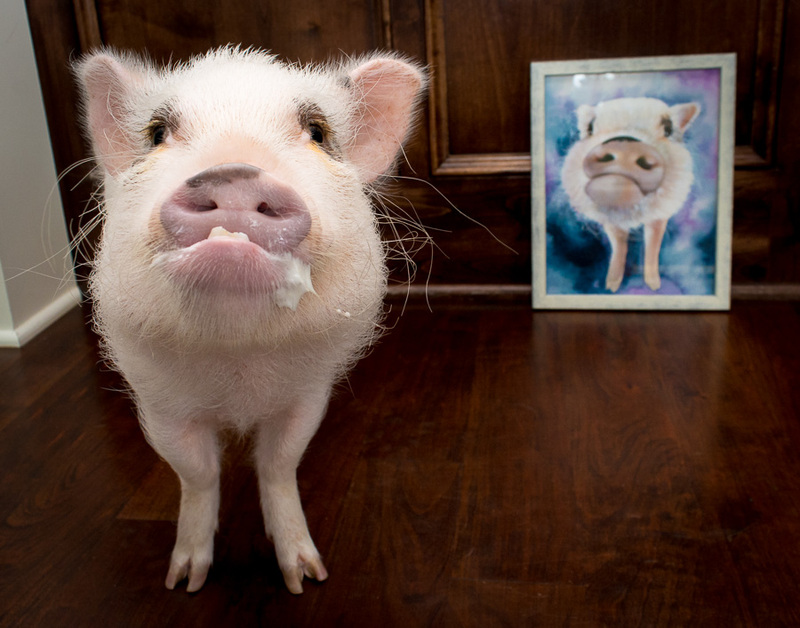 In addition to sanctuaries, she also features individual owners on her website and offers them a painting of their pet and allows them to share their story. We were lucky enough to have Dar feature Oscar on her website. She allowed us to share his story through an interview, and she also painted pictures of Oscar, Rylee, and Liam so that we could have them to enjoy. Dar took so much time to learn about Oscar and his personality, and her understanding of him shows in her paintings. She did an amazing job of capturing Oscar’s essence and spirit, and we are so excited about them. She also surprised us with a picture of Liam, our dog who passed last year, and it’s a painting that we will always treasure. Here is the link to The Painted Hoof website where you can read Dar’s interview with me about Oscar and also see her amazing paintings of Oscar, Rylee, and Liam. Dar has a huge heart for animals and for the people who love them, and her mission to help both is amazing and inspiring. 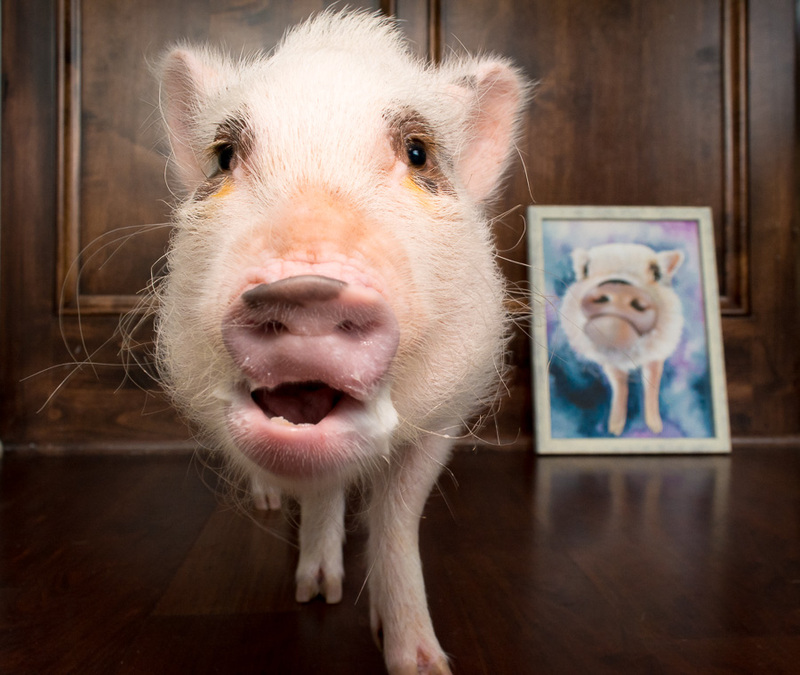 She is using her art and time to make a difference in the world and to make it a better place for animals, both in sanctuaries and in individual homes, and we are honored we had the opportunity to share Oscar’s story on her site. 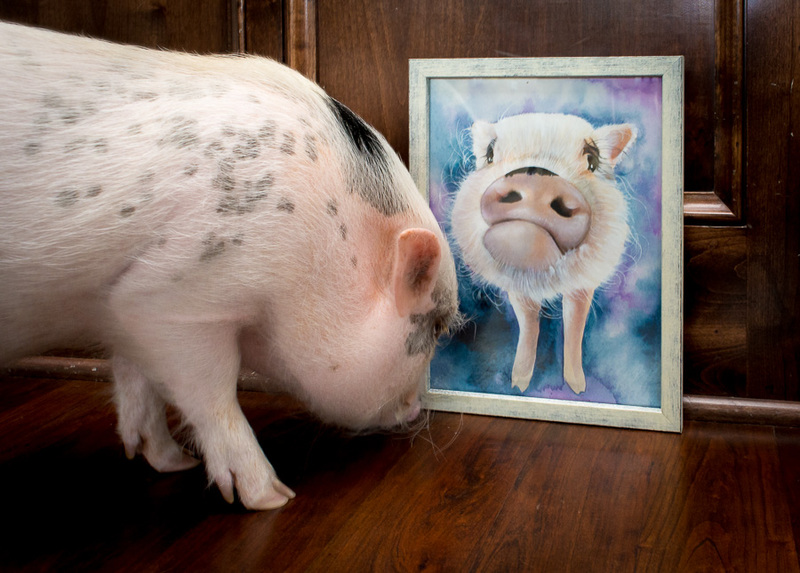 Aww, that’s a great painting. If I had seen that image on Google or something, I would definitely know that was Oscar. He has a very distinctive face. I love how his bottom teeth stick out. Thank you! We just love the painting she made for us. It reflects so much of his personality. I like his little teeth too. I always tell him his underbite gives him extra character.